I always wanted a pony growing up. I’m a good rider, and I trained hunter/jumper. I’m also good at using a horse to round up, drive, and cut cattle. I was never horse obsessed, but I was definitely horsey. So, I was excited to get my first horse. Then I was relieved to rehome her. Living with a horse and riding a retired champion are very different experiences. Somehow I expect them to act more like cattle. So, when Bossy had a calf in 2016 I decided we needed an ox. Duke just isn’t cut out for life as a riding ox. He knows every command, he loves to do what you tell him. But, he’s a hot mess on his top line with a shark fin down his back. If you’re looking for a year old Jersey to pull, I have a deal for you! So, a few months ago I decided to train Asset as an ox. He’s my little bottle mini Jersey. He has always looked and acted more like a little doe than a steer. He isn’t especially bright either, but he’s sweet, calm, loves me, and has a smooth back. He just can’t figure out right from left. A few weeks ago we were walking through the woods. He heard a squirrel in the bushes and jumped between me and the bush, pawing in a challenge. Yeah. That’s my boy and his heart of gold. He’ll never be big and strong, but he’s my mighty ox. Oh mucking! 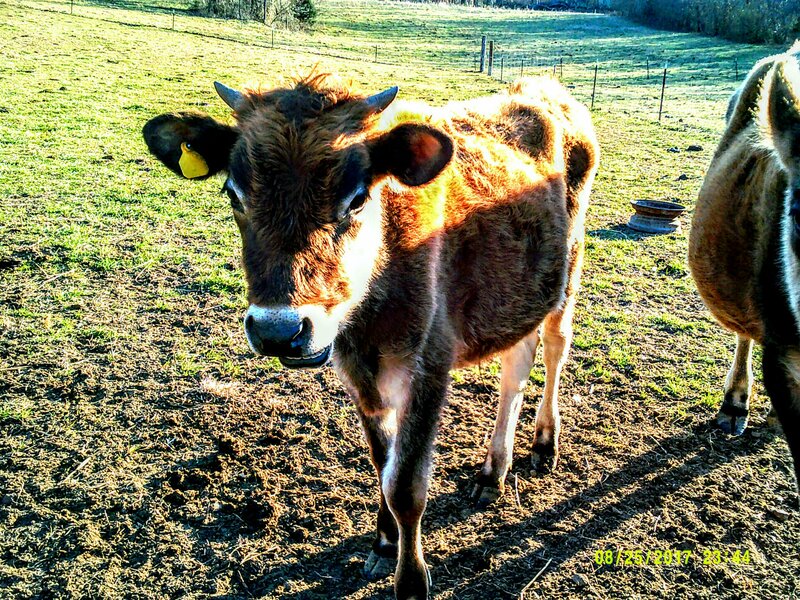 It’s the great challenge of keeping animals in a barn. 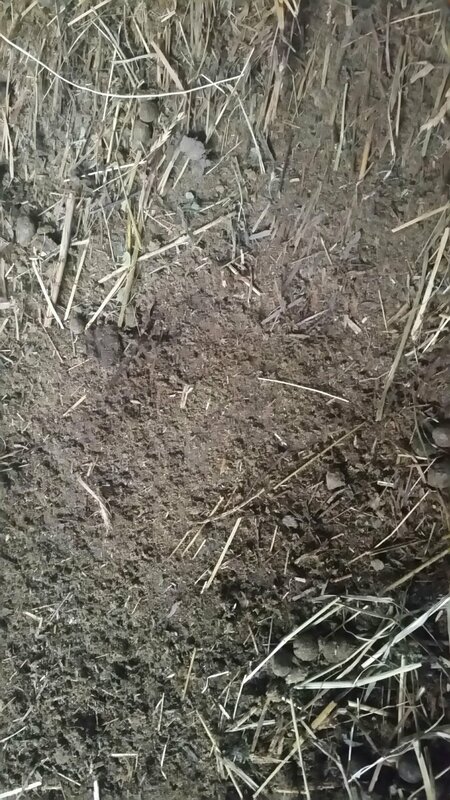 Be it horses, cattle, ducks, geese, chickens, or chinchillas, somehow all that wonderful fertilizer has to get out of the barn an be transformed into usable compost. I use composted manure in my garden. It makes gorgeous, healthy, disease and bug resistant plants. People say my tomatoes are excellent. I tell them to thank the sheep. Like many homesteaders I own all most every Joel Salitan book written. He has some wonderful ideas. One idea is to let everything stay in the barn until spring and muck it out in with a tractor or skidder. 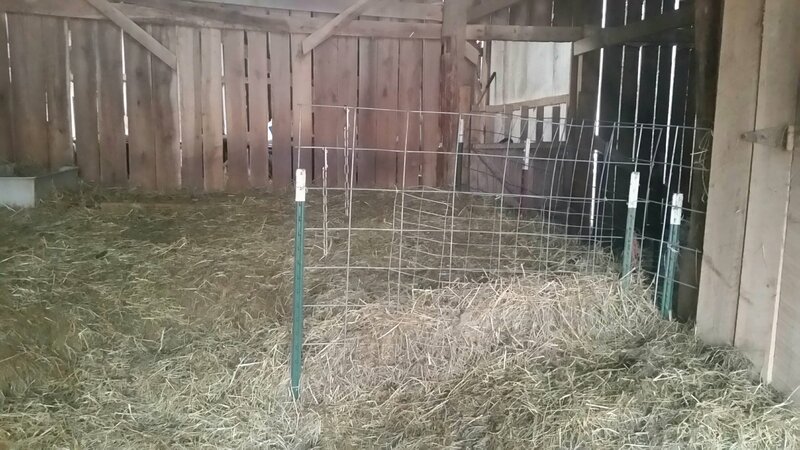 The hay and the flock’s deposits are supposed to break down into beautiful compost. I don’t have a tractor or skidder. I think that was my first mistake. The second was thinking my gang of mutannous hooligans would actually eat their hay instead of pulling it out and using it as bum fodder. In Joel’s defense we do have some gorgeous compost absolutely. 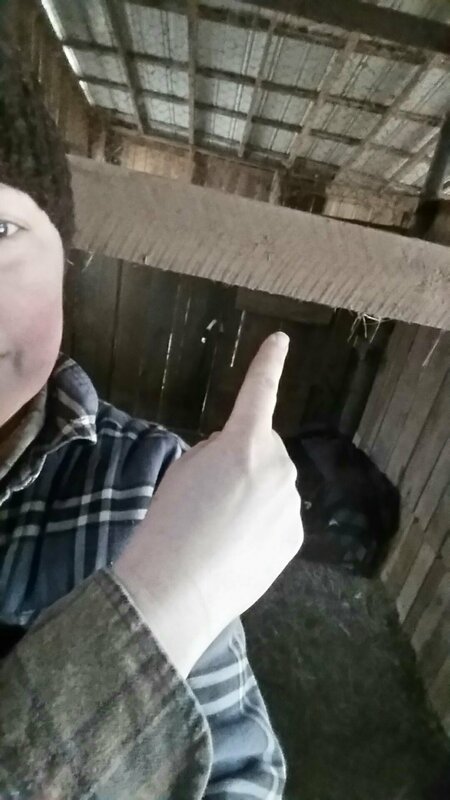 However, the day I realized my head was even with the barn loft, I decided to abandon ship. Now, you’d think I would just get in there with the shovel and rakes and the truck and be done. After all, it’s only twelve sheep, not one hundred. After three hours and several truckloads the pen floor is now three inches lower. Yep, one inch an hour. Keep in mind it usually takes me five minutes to rake out the pen daily. Five minutes of raking versus an hour of heavy shoveling. This definitely did not save time, energy, or my neck. So, for now I’m back to raking out the top layer of bedding everyday and spending an hour or two every week hauling compost to the garden. I expect to be dug out by summer – just in time to haul bags of gorgeous, clean compost to the farmer’s market.